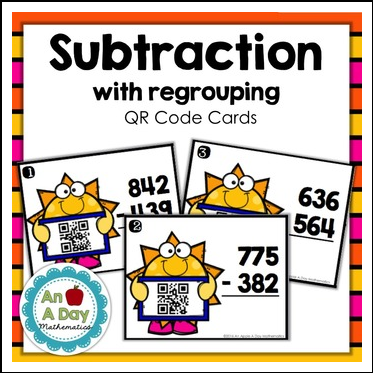 Subtraction QR Code cards are designed to give students practice subtraction with regrouping. This set contains 12 QR code cards and recording sheets. These cards are great for independent math centers or for earlier finishers.